Henry Ortiz is a native New Yorker who began his career as a Financial Services Professional in 2005 in Boca Raton, FL. With over 9 years of experience, he has worked with companies such as Guardian, MassMutual and National Life Group. He has been successful at creating and developing a scratch unit operation and becoming a true leader. He joined the insurance companies of National Life Group as an agent in July of 2012. 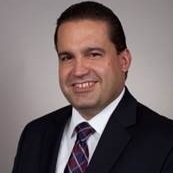 Since holding his current position as Director of Sales-South Florida at Vital Financial Group and National Life Group, he has been recognized with company awards such as Sales Manager of the Year and Most Case Count Leader of the Year Award1. Henry Ortiz is Insurance licensed Agent in FL. Henry is happily married to his lovely wife of 15 years, Alexandra, and is the proud father of three: Eliza, Daniel and Giselle. 1Awards are based on sales criteria.